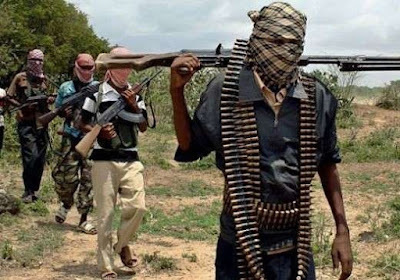 No fewer than 41 people have been abducted in Birnin Gwari local government area of Kaduna state in two separate attacks. According to reports, the abductions took place in the last 24 hours. Confirming the abductions, the Chairman of National Union of Road Transport Workers (NURTW), Danladi Idon Duniya, said a Sharon bus and a Golf 3 saloon that were travelling along the Birnin Gwari road were stopped by armed bandits and the 17 passengers were kidnapped. In a related development, 24 people, mostly traders, who travelling in a commercial bus, were abducted near Labi village along the same route yesterday May 23rd. The victims were on their way to Kano to buy goods. The NURTW chairman said reports reaching his office, claims that the kidnappers have taken all the 24 abductees into the bush, after forcing them to remove their clothes, while the women among them were forced to remove their veils. The state police command is yet to react to this development. What an amazing report... Good one! Michael Adiku On Offa Bank Robbery: "Why I Killed Over 20 People"